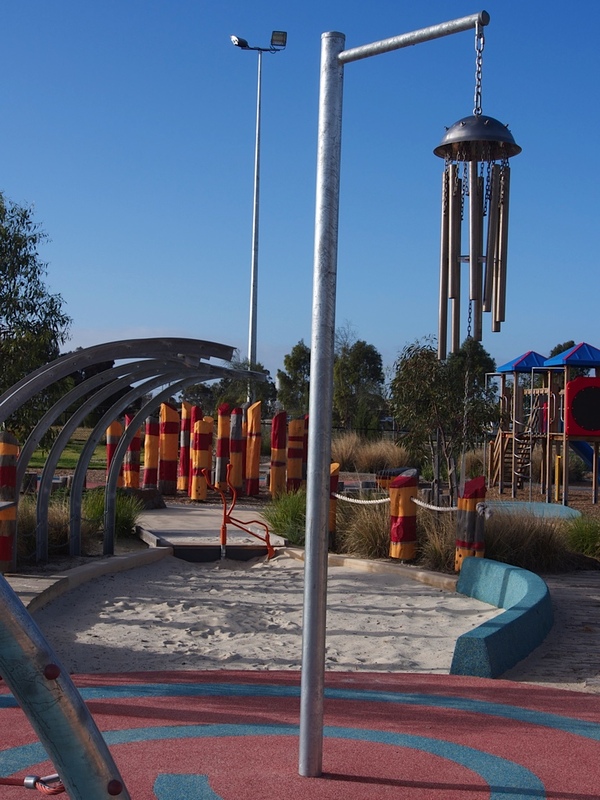 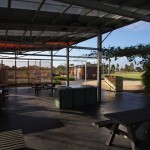 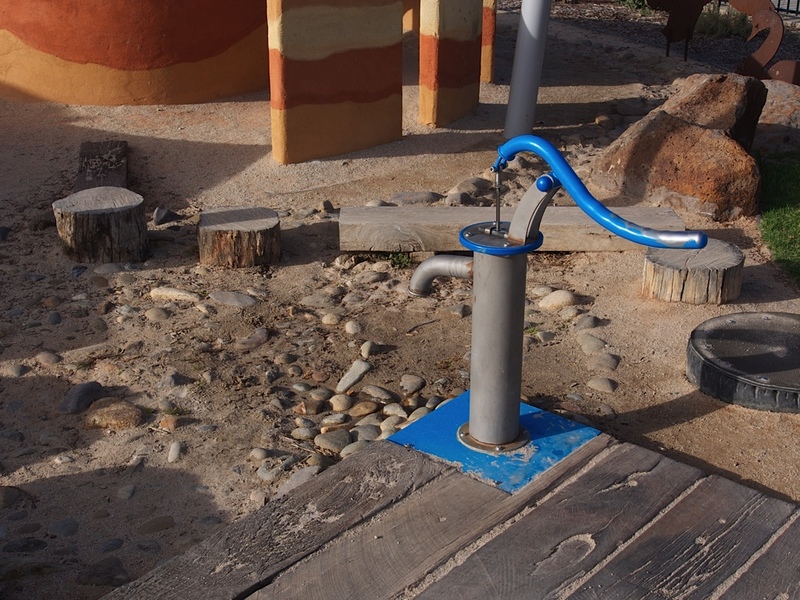 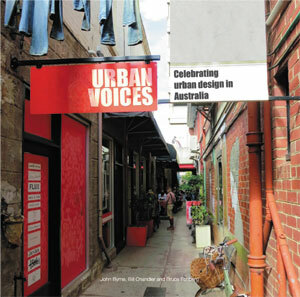 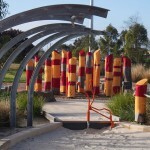 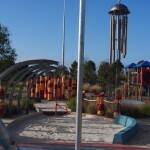 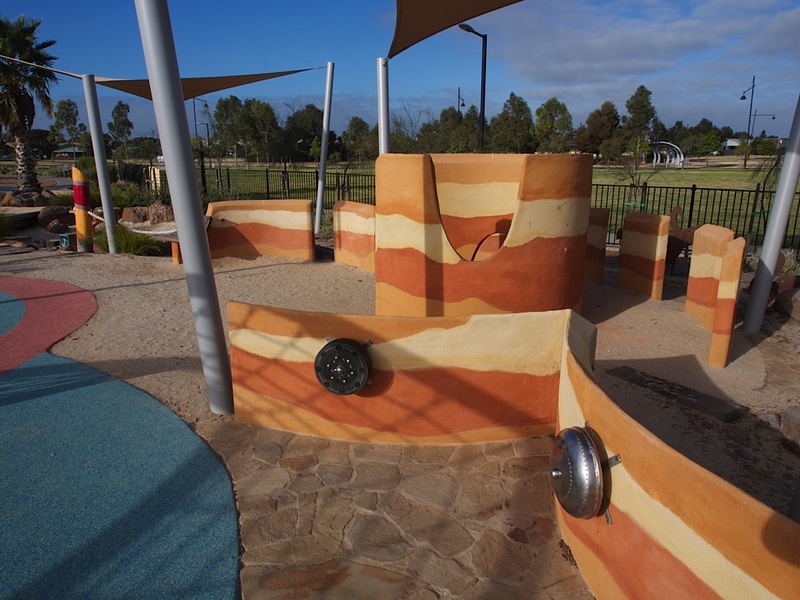 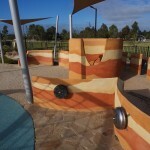 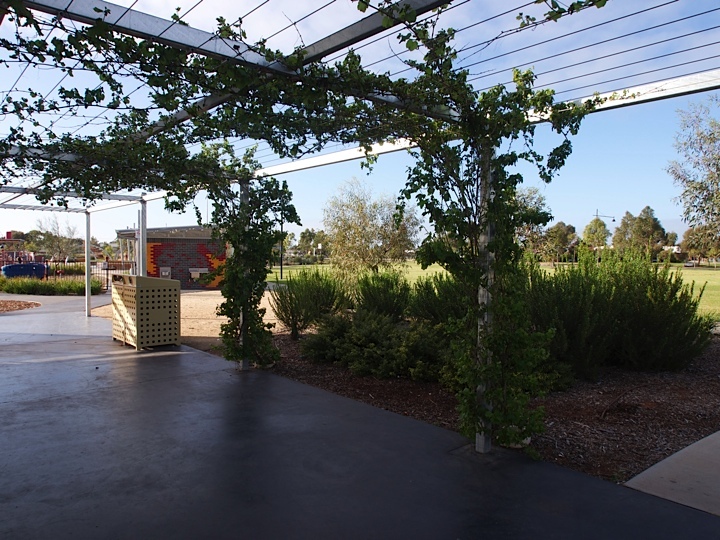 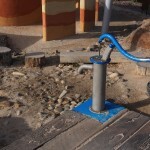 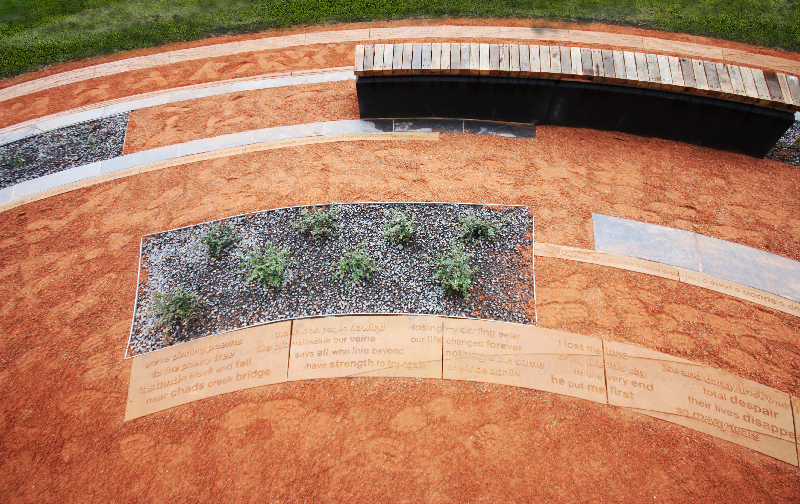 We revisited Swan Hill recently, and stopped in at Barry Steggall Access for All Playspace. 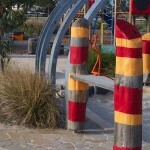 Playspaces get a real beating as landscapes, with users that are often no respecters of planting! 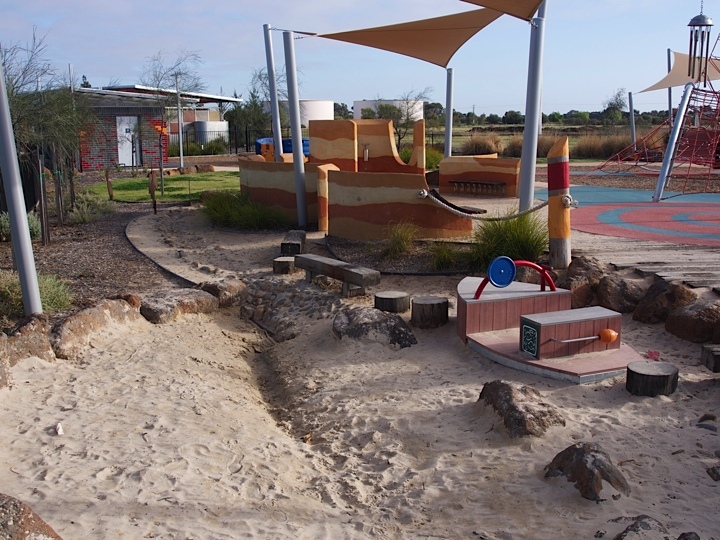 Barry Steggall Park also has challenging sodic soil conditions, and days this summer that exceeded 45°C. 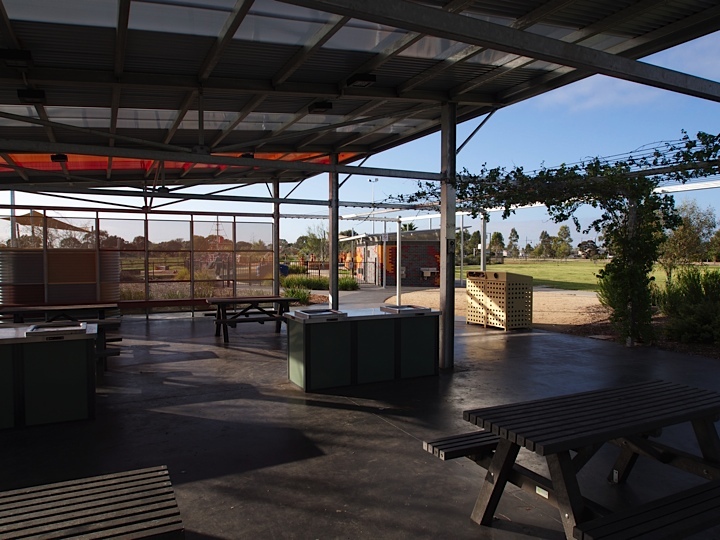 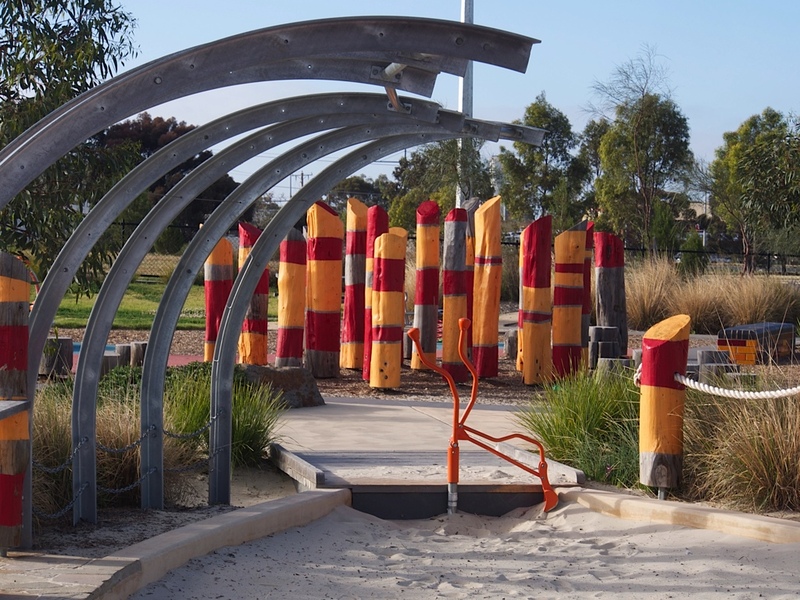 However, the team at Swan Hill Rural Council are doing a fantastic job maintaining this very well used playspace, and it is a real buzz for us to see it looking so good. 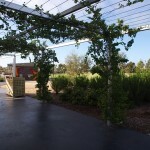 Ornamental grapes are starting to cover the pergolas, the trees are growing fast, and evidently the creek bed is well used. 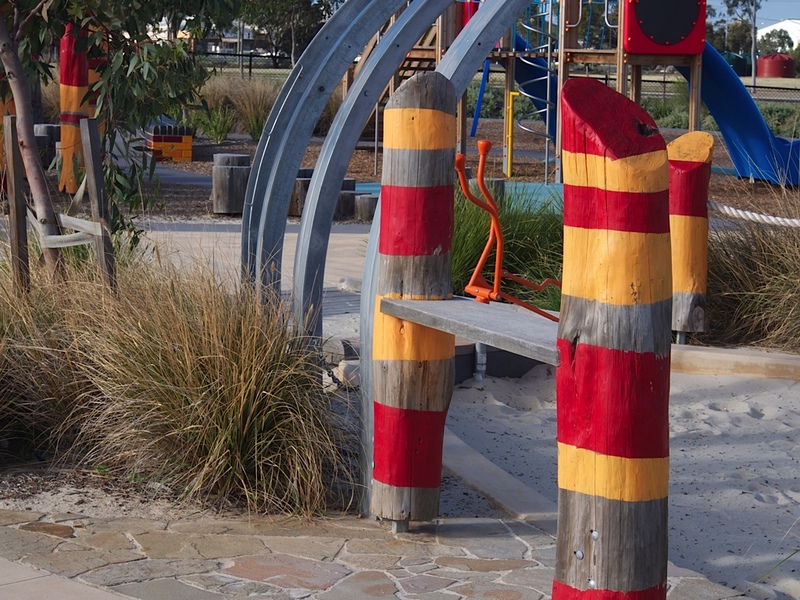 Planting such an important part of all the playspaces we design, for the sensory and seasonal qualities it adds, the ‘loose materials’ it provides for play, and also of course for natural shade. 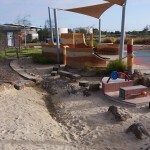 A well used creek bed!